Two Regular Guys Uncover the "Idiot-Proof" Way To A Passive Income Of $467.92 A Week With All FREE Traffic! 10 Methods to Choose From - They All Make Us Money! Are You Ready to Get Results Like This Every Single Month? John here. If you don't know me, I'm a regular guy who worked day jobs I hated and wanted to discover how I could escape this rat race and work for myself, being my own boss, calling the shots and having freedom I really desired. Like you, I fell victim to many internet scams, and got screwed over numerous times. I eventually developed my popular blog, No Shame Income, where I worked hard to show people, totally transparently, how I was able to navigate the BS and build real, online, passive income. That's when I got around to talking to Stefan, who shared my beliefs of giving people real case studies to launch to actually HELP people. So he asked me about the ways I was earning passively, and I showed him 10 ways I had totallly passive income coming in. He was floored and said we needed to get this out to you immediately, as this would really help you. Each free method acts as a little passive income machine. This means you're doing two things right: NOT trading time for money and NOT putting all your eggs in one basket. That's an extra $500 per month or $6,000 per year in passive income! These numbers are ABSOLUTELY possible. 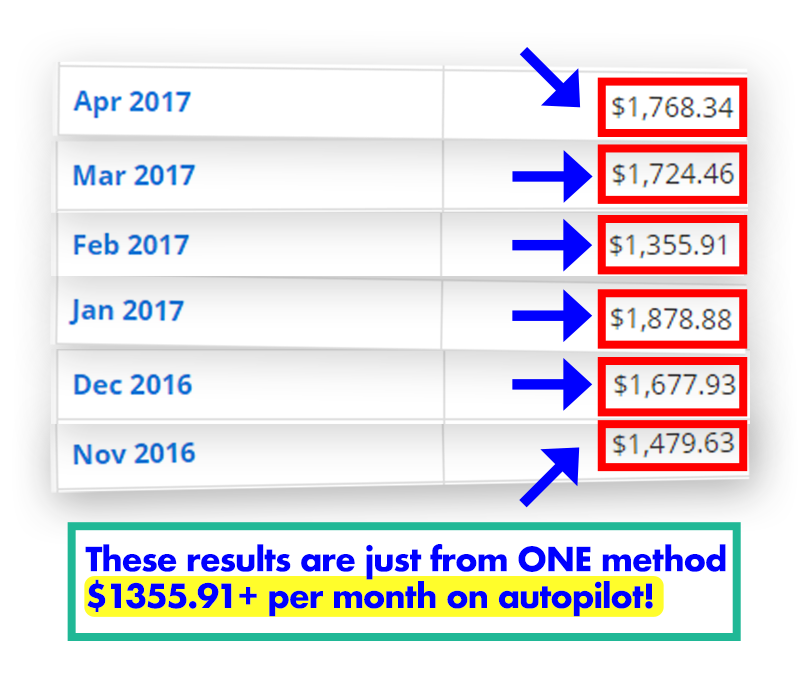 These methods are consistently bringing me four figure recurring earnings every single month, and these are verified to work as you'll see in my case study. You see, you NEED passive income so you're not trading time for money, and you NEED many income streams so you're not betting all or nothing on just one. You see, those who make a lot of money online and live the TRUE "internet lifestyle" are those who generate passive income. In other words, making money without having to trade precious hours of your day. Unfortunately, most passive income courses don't work in 2017 and are full of theory. That's why Stefan and I are here today, to help you change that. Once you'll learn how to do this, you can scale your passive income and the mystery of how people are doing this will be solved. These are strategies that took me years of hard work to figure out and get going. SERIOUSLY – There's Never Been An Easier Way to Get Passive Income from FREE Methods.. Think the 10 methods are the ONLY ways to earn with this? THINK AGAIN! I'm even gonna include a bonus 11th method if you join today that I've never shared with anyone before. No more falling victim to another scammy product... this is an ethical product with real proof from a real marketer who practices what he teaches. No more training that requires a huge learning curve - everything is shown to you without anything hidden. Sit Back, Relax... and Enjoy Passive Income Coming in Each Month! Pick another of the 10 methods and scale your monthly earnings while increasing your profit diversification! 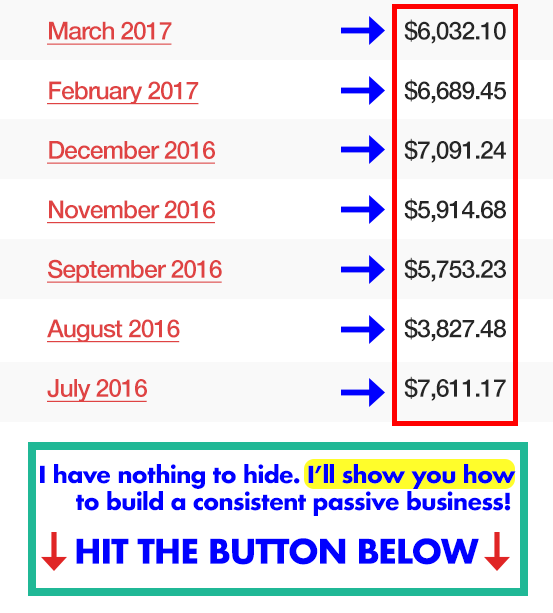 I worked with Stefan to turn ten of my passive income streams into a case study and step by step easy to follow course for you to start building your own passive income. This means I'v done all the hard work and trial & error so you don't have to make the same mistakes I did. I'm really excited for this to help you. If you're looking for a pushbutton cash system, I'll save you time: it doesn't exist. What DOES exist is growing your passive income into the thousands and beyond by following bite sized steps to get it there. There are 10 methods included. The sooner you get started, the sooner future you will be thanking you! You don't need to build an email list to make this work, because we know how hard and time-consuming that can be. This also doesn't require any money upfront for ads or paid traffic. 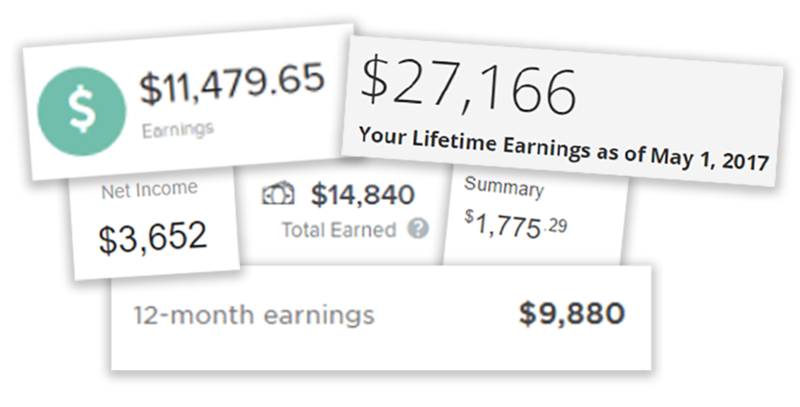 I started off with no money to make these income streams work, and so can you. This system is so simple that a 10-year old can do this. I started off knowing nothing as well, but I documented all my steps so it's easy for you to come in and follow, without having to piece it all together the hard way. You don't need experience to make money online. This is just a myth that fake "gurus" created to scare newbies into buying their courses. Passive Profits Masterclass is the opposite. A proven system that can work for someone who is just starting out with no experience, or an experienced marketer who is just looking for an extra monthly income stream. My system is perfect for all ages, genders, races...anybody! Ten methods is already ten times more than what you'll find in other courses...but because we love you and want to help you, we're including an additional passive income method with real proof. We think you're really going to love this. Join newbies and advanced marketers alike in this exclusive mastermind group for PPM members ONLY! See others' success stories, learn from it, bounce ideas off each other, apply different strategies and profit big! Joining us TODAY includes this FREE bonus. As an added bonus, you'll also receive 100% FREE access to Stefan's best-selling course "PULLii". This course sold over 1,500+ copies. You'll learn how to generate tons of free viral traffic on auto-pilot to your blog using this amazing under-utilized social media network. Having this bonus alone makes this offer a no-brainer, especially at this price-point. You'll also receive our award winning $33,000 case study Turnkey Profit Machines. This is another powerful income stream for you to tap into. Try out Passive Profits Masterclass. If for whatever reason you feel it's not for you, then just let us know and we'll refund your money. That's how confident we are in what we teach! ... and all the rave reviews from other people as well. 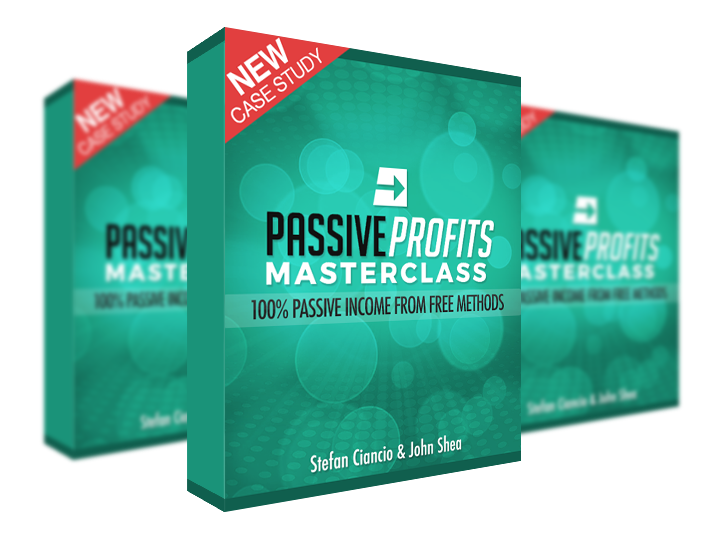 Passive Profits Masterclass just plain WORKS! Grab your copy today for the lowest price..
Q: How can Passive Profits Masterclass benefit me? A: Not only will it help you earn PASSIVE income each month, you'll learn 10 FREE methods we use to make that happen... without any ads or anything like that. This system was created so that it is sustainable. A: Never – because the internet is so vast that there's more than enough money to be made. Saturation will never be an issue with this. A: This rarely happens because of how “in-depth” my training is, BUT I am willing to answer any questions you have with our support email exclusive for members of the program. The performance experienced by user comments and testimonials, on this page and/or our web site , is not what you should expect to experience. Although Master Key Marketing, Inc. accepts the testimonials in good faith, Master Key Marketing, Inc. has not independently examined the business records of any of the providers and therefore has not verified any specific figures or results quoted therein. These results are not typical, and your income or results, if any, will vary and there is a risk you will not make any money at all. Some of the users may, in some cases, been incentivized to submit their comments. Master Key Marketing, Inc. is not liable for anything that may result to your Facebook Ads Account, YouTube Account, or any other account or service you use. While this method does work, we make no claims it is compliant or otherwise with Google's, YouTube's, or Facebook's terms of service. Use at your own risk.